The shoulder joint is a ball and socket joint. A 'ball' at the top of the upper arm bone (the humerus) fits neatly into a 'socket', called the glenoid, which is part of the shoulder blade (scapula). The term SLAP (superior -labrum anterior-posterior) lesion or SLAP tear refers to an injury of the superior labrum of the shoulder. 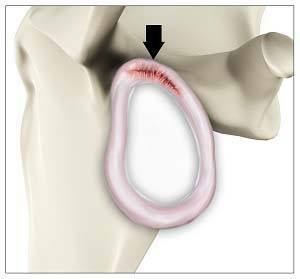 The labrum is a ring of fibrous cartilage surrounding the glenoid for stabilization of the shoulder joint. The biceps tendon attaches inside the shoulder joint at the superior labrum of the shoulder joint. The biceps tendon is a long cord-like structure which attaches the biceps muscle to the shoulder and helps to stabilize the joint. The most common symptom is pain at the top of the shoulder joint. In addition, catching sensation and pain most of ten with activities such as throwing may also occur.